Carers in Hertfordshire often works with carers to respond to local and national consultations relevant to carers and caring. We also hold events with representatives from health, care and community organisations in Hertfordshire so they can provide updates about services, answer carers' questions, or seek their views and experiences on services or planned changes. Among the organisations we invite to these events are Hertfordshire County Council, NHS Trusts responsible for local hospitals or health services as well as Herts Valleys Clinical Commissioning Group (CCG) and East and North Herts CCG. A presentation about Hertfordshire County Council Supported Accommodation Strategy 2017 - 2017, minutes and responses to a Q&A session about accommodation in Hertfordshire. We also carry out our own consultations such as one with carers to find out about the caring situation in Hertfordshire. The State of Caring in Hertfordshire Survey was carried out between January and March 2018 and 1,434 carers responded. • pdf Caring and Working (677 KB) . Stevenage Borough Council is working with Hertfordshire County Council to review its housing offer to older people in Stevenage. 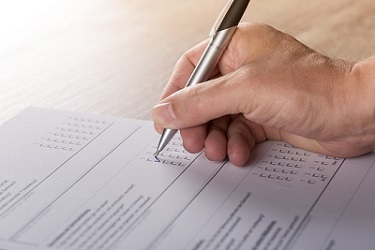 You have until midnight on 17th March 2019 to complete the survey and the information given is confidential and no name or address is required. If you have any queries or need help or advice in completing the Survey please contact the Independent Living Team on 01438 242666. Carers UK is looking for those providing unpaid care to a disabled, older or seriously ill relative or friend to help paint a picture of what it’s like to be a carer in 2019 and if anything needs to change. • Gather evidence of the impact of policy changes made by the UK and devolved governments. Last year over 7,000 carers shared their experience of caring. This allowed Carers UK to highlight the impact of being a carer to the media, in dozens of evidence submissions to Government and Parliamentary consultations, and in reports that influence decision makers and policy makers in a wide range of areas.